﻿ Centara Pattaya Hotel (Thailand) | FROM $32 - SAVE ON AGODA! "Our third night here and we loved it!" 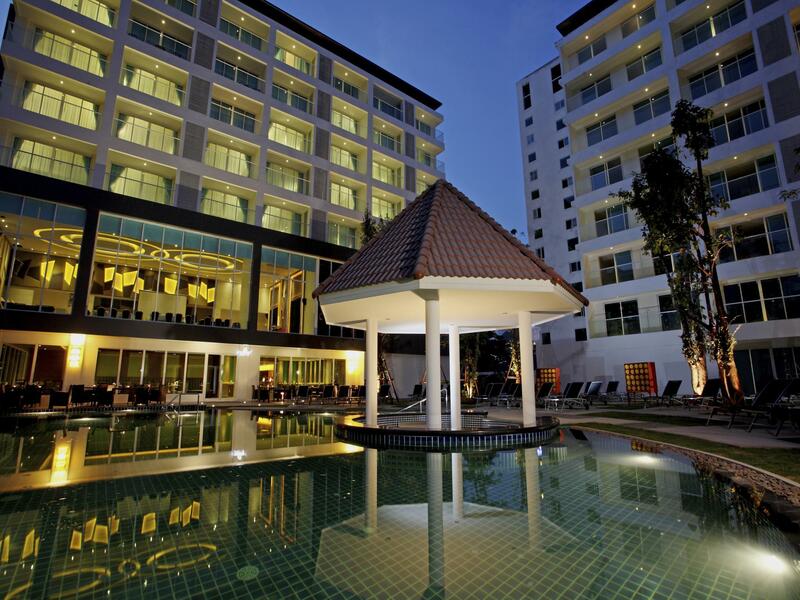 Have a question for Centara Pattaya Hotel? "Bed was nice and soft, pool and the cocktails were nice." "Very clean and well maintained hotel." "Staff pretty friendly, they upgraded room." 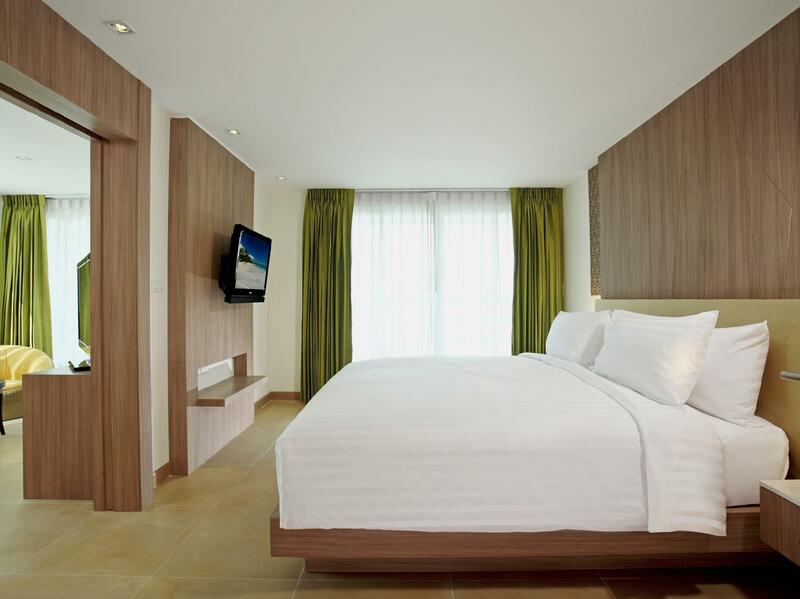 Centara Pattaya Hotel, located in Central Pattaya, Pattaya, is a popular choice for travelers. The hotel is not too far from the city center: just away, and it normally takes about 90 minutes to reach the airport. With the city's main attractions such as ParadiseTailor, Pattaya Dragon Shopping Center, Alcazar Cabaret within close reach, visitors to the hotel will just love its location. Simply put, all the services and amenities you have come to expect from Centara Hotels & Resorts are right in the comfort of your own home. For the comfort and convenience of guests, the hotel offers free Wi-Fi in all rooms, facilities for disabled guests, Wi-Fi in public areas, car park, room service. Centara Pattaya Hotel is home to 152 bedrooms. All are tastefully furnished and many even provide such comforts as television LCD/plasma screen, separate living room, internet access – wireless (complimentary), non smoking rooms, air conditioning. The hotel offers fantastic facilities, including fitness center, sauna, outdoor pool, spa, pool (kids), to help you unwind after an action-packed day in the city. Superb facilities and an excellent location make the Centara Pattaya Hotel the perfect base from which to enjoy your stay in Pattaya. "I got a great last-minute price on a one night stay at this..."
They made us wait for the check in (past 3pm). They gave us a key card that cannot open the room. Day 2 it happened again. We cannot enter the room. The receptionist said the keycard expired. Our booking is supposed to be 3days/2nights. Privacy is also an issue. The housekeeper opened our room without knocking or checking first if we are inside. They forgot to lock the door of the adjoining room. The toiletries are lacking. Toothbrush were not provided. There are only 2 pillows in the room. No slippers. We lost some personal item and the food we bought outside the hotel. We reported it but the hotel staff cannot solve the issue. good Breakfast, Clean and quite room , good location , with kindly and smiley front desk. Our third night here and we loved it! Good location and quiet at night. It had everything you needed except wash clothes. They should add some in a room to be a 4 star hotel. The house keepers on the 6th floor of Building B (#628B) didn't do a good job and left a used condom in a bathroom after we already checked in! We still see lots of hair on a balcony, food crumbs and some stains in room. Otherwise, we'll definitely come back here. Overall i was satisfied with my stay at centara, but little pointer that was not clearly stated on the agoda website upon checking in i was asked to for a 3000 baht security deposit by the hotel staff to applied to my credit card. This needs to be rectified by agoda or the hotel concerned,but i would book this hotel again purely for my needs which includes,location,not far from the beach and local attractions etc. Room was in Horrible Condition and the TV didn't work well. They have lousy managers that don't give a damn about the satisfaction of the guest. I've been staying here for the past 5 years and after the last couple stays we have decided to find a new favourite hotel. Do not stay at this hotel it is not worth the money!!!! My room experienced a power outage a total of 4 times while I was there - all in the middle of the night, including air conditioning and power needed to charge my phone. Repair process was painfully slow - the corridor staff that I reached out for help was terribly casual about the whole affair. Not value for money in my opinion, even at such an affordable rate. Hotel is location at the centre of Pattaya. Walking street is 30 min but hotel having shuter bus every 30 min. Try to have a walk at the breach to waiking street. There are a lot of shops like 7 Elevan, Macdonna, BIG C shopping near by. I booked this for the overall amenities. In my short 2 night stay I used the gym(small but well equipped, side stepped the sauna, enjoyed the pool, ate lunch at the poolside area, ate breakfast nearby and enjoyed the bars nearby. The bed was comfortable and the air conditioning quiet. Geoffrey the manager gave amazing service and is a credit to the company. The hotel is clean and in a good location. The breakfast is reasonably good compared to Thailand’s poor standards. That said, Centara is a brand which has a good reputation and I personally feel that this older hotel doesn’t meet the expected standard and hence the lower price. I got a great last-minute price on a one night stay at this hotel, and enjoyed my visit. Nothing to complain about, if you are passing through, and just need a good place to rest up. Given that the rooms face the noisy swimming pool, and large noisy groups of tourists frequent this hotel, I would not consider this hotel for a longer stay, though. That said, the staff are terrific, well trained, and with good language skills. My room was clean and well maintained, and the covered parking area was a plus. The air conditioner was not working well. The floor was wet with moisture. I explaned to the management but I’ll they did was give a bogus answer we are maintaining the rooms room by room not even try to apologize. During our stay nearly all guests were from budget group tours from Russia, China, and India. The Russian and Indian guests were all men in "party mode" This resulted in a cacaphony of polyglot noisy parties and noise in the hallways at night making sleep difficult. 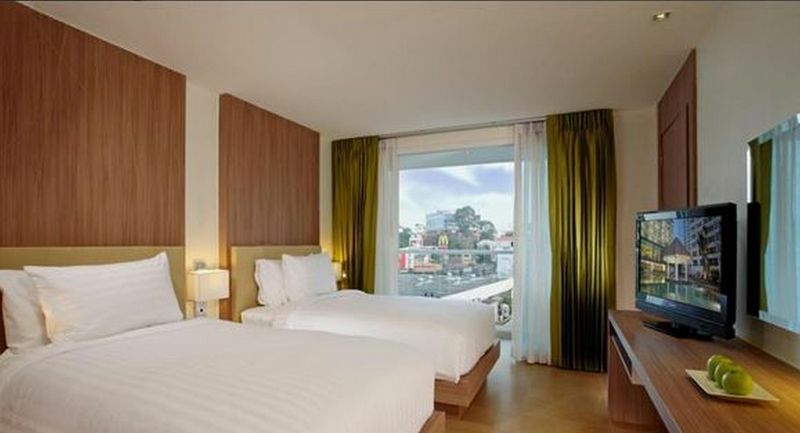 Centara is located on Soi 15 behind The Avenue Mall. It's a nice hotel in a growing area. Near it is small bars and just a few minutes walk to Soi Buakaow. A very easy spot for food, just a 2 minute walk to The Avenue where there is a Starbucks, Au Bon Pain, McDonalds, All American Grill, Oishi Buffet. Also bowling and a movie theater. Nice rooms, clean and set up nicely. The street isn't too loud so easy to sleep. Overall recommended.